Friday July 6, 2018: Sharon and Nikki see JT, Billy keeps his secret about Jaboat, and Kyle takes matters into his own hands. At Jabot, Summer checks in with Billy, who is distraught over his ‘epic’ failure of losing the company yacht in a poker game. Summer wants to help. Billy says his only option is to win back Jaboat before anyone finds out. At Crimson Lights, Phyllis invites Sharon to a surprise birthday party she’s planning for Billy…aboard Jaboat. Sharon’s not in a party mood due to the talk about JT possibly being alive. Phyllis sends out the invites. On the patio, Abby and Arturo make out until he reveals Victor’s messing with him again. Abby wants to adjourn to a luxury suite and charge it to her father’s account. At Jabot, Summer receives the invitation to Billy’s party and warns Billy, who gets on the phone with Phyllis and tells her Summer spilled the beans about her party plans, knowing the yacht was undergoing repairs. Phyllis decides she’ll have the party at home. At the Club, Abby tells Arturo she’s going to confront her father. He won’t allow her to go alone. 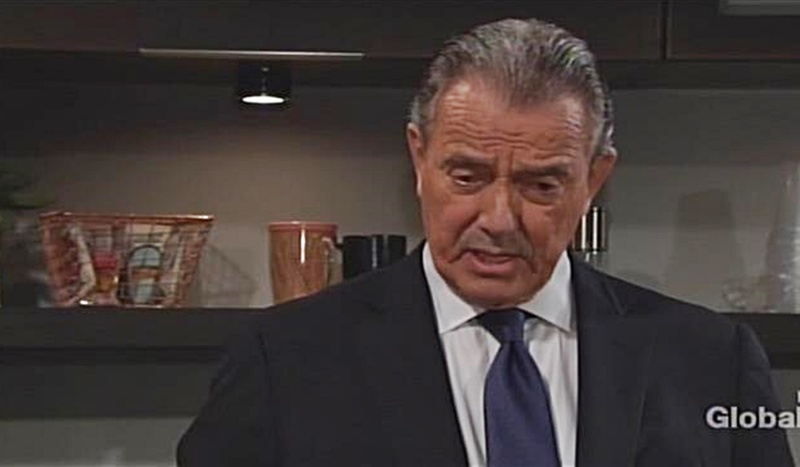 Nikki appears and reveals Victor’s handling a major crisis at the office. Abby complains that he’s harassing Arturo and she’s going to confront him. Nikki sniffs that Victor hasn’t been harassing Arturo – she has. Abby and Nikki square off as Nikki explains she asked Arturo to stay away from her but he didn’t listen. Abby stands up to her, but Nikki is unremorseful and states, “No one messes with Nikki Newman,” before stalking off. Arturo convinces Abby to attend Billy’s birthday party. Summer and Billy arrive at home to Phyllis bearing captain hats and serving pirate punch. Kyle arrives and updates them on Jack’s lawsuit. Summer plunks a hat on his head and pulls him aside. She asks where his date is, and Kyle reveals he dumped her. They tuck into the rum punch. Kyle notes he drank stronger than this trying to get over Summer. Ashley arrives and silences the room by announcing she quit Newman. Billy fills Phyllis in on Scott’s article, then asks Ashley what’s next. Ash reveals she wants to come back to Jabot as COO. Abby and Arturo enter as Ashley says, “Goodbye Newman, hello Jabot!” Abby isn’t keen on her mother abandoning her. Summer notices Kyle’s morose. He snarks that he loves working where he knows he’ll never get ahead. Meanwhile, Ashley counsels Abby to stay at Newman and exploit Victor’s distrust of Victoria. Arturo agrees. Ashley joins Billy, who hedges about whether he wants her back at Jabot. Phyllis jumps in to confront Ashley about actually wanting to run things. Ash insists she’ll yield to his leadership since he’s doing a great job, but is clearly frustrated. As Kyle speaks to Ashley, Billy lets her know he doesn’t need a watchdog, and Kyle presses to be considered as COO. Summer directs everyone’s attention back to the party, then follows Kyle onto the terrace. He opens up about not knowing where he belongs – he might dig up Phillip Chancellor himself. Inside, Billy’s received texts from Jack and Traci urging him to hire Ashley, who promises an embarrassing board vote if he doesn’t listen. Billy and Phyllis whisper about getting Kyle on board, but Summer reveals he left. Later, Billy gets a text from Lauren saying she’ll also support Ashley. Defeated, he takes Ashley aside and welcomes her back as COO. They embrace, but Billy has a strange expression. Nikki arrives at Sharon’s place and unloads – she’s worried Victor could be charged with a murder she committed. They speculate about whether JT could possibly be alive. Nikki opens up about going after Arturo – it seems silly now. Sharon assures her they’ve all been under stress. Talk turns to Christian’s custody. Nikki just wants one normal night – it’s a struggle not to confess to Victor, and worries JT’s dragging her down to his level. Sharon gives her a pep talk. They hear a noise outside and peer out the window. A hooded figure turns around – it’s JT! The women scream hysterically. In the cemetery, Kyle digs up Phillip Chancellor’s grave.